Carter Harman was a composer, writer, and music industry executive. Before World War II, Harman was a pilot, flying Piper and Waco aircraft. In 1943, he completed an Army Air Corps training program in Texas and served as a flight instructor for primary training. He later joined the first class of helicopter pilots (five total) of the U.S. Army Air Services. 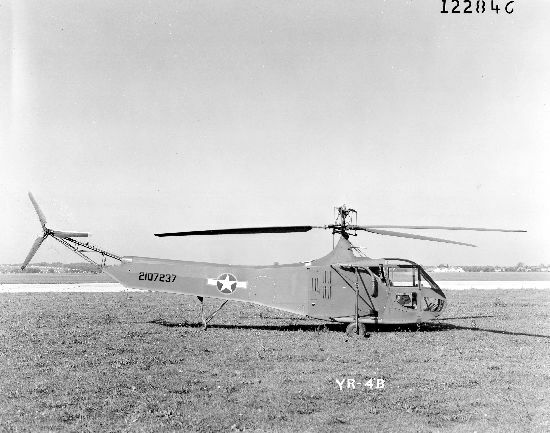 The group trained at Sikorsky Aircraft's headquarters in Stratford, Connecticut to learn to pilot the YR-4B, an early military helicopter. On April 21, 1944, a Stinson L-1 Vigilant rescue aircraft piloted by Tech. Sgt. Ed "Murphy" Hladovcak (USA), which carried three wounded British soldiers, went down behind Japanese lines in Burma. The 1st Air Commando Group tasked Harman (then a 2nd Lt.) with rescuing them. His YR-4B was the only working helicopter among the four used by the group. The limited range of the YR-4B and small size of its cabin required Harman to transport the soldiers and pilot one at time to a larger aircraft for evacuation. This was the first first combat rescue by helicopter. In 1945, he was awarded the Distinguished Flying Cross by the US Army for his actions. After the war, Harman worked as a music critic and writer.